Badar Durrez Ahmed, Actg. Cj. And R.V. Easwar, J.
Badar Durrez Ahmed, Actg. CJ. – These appeals pertain to the assessment years 1993-94 and 1994-95. ITA No.1248/2010, which relates to the assessment year 1993-94, has been taken to be the lead matter and the facts of that case would be considered. The other appeal, ITA No.614/2011 is on virtually identical lines. 3. The service charges, which have been received by the appellant (Kribhco) was in respect of Kribhco operating and maintaining the heavy water plant, also known as the Hazira Ammonia Extension Plant (HAEP), owned by the Heavy Water Board, Department of Atomic Energy, Government of India. The issue is whether these service charges can be regarded as profits and gains of Kribhco ‘derived from an industrial undertaking’ and, consequently, whether Kribhco would be entitled to any deduction under Section 80-I of the Income-tax Act, 1961. 4. In respect of the assessment year 1993-94, the extent of the above service charges was Rs 6,36,45,631/-. Initially, the appellant (Kribhco) claimed deduction under Section 80-I of the said Act in respect of the said service charges. Subsequently, during the assessment proceedings, the assessee revised the claim by excluding these charges for the purposes of deduction under Section 80-I and treated them as its income from other sources. The Assessing Officer, while computing the profits eligible for deduction under Section 80-I of the said Act, reduced the profits of industrial undertaking by an amount of Rs 6,36,45,631/- on account of the fact that these service charges were treated as income from other sources. However, before the Commissioner of Income-tax (Appeals), the appellant by way of an additional ground, reiterated its initial claim that the receipt of Rs 6,36,45,631 on account of service charges constituted part of its profits and gains from an industrial undertaking and was eligible for deduction under Section 80-I of the said Act. This claim of the appellant was rejected by the Commissioner of Income-tax (Appeals), who held that the said service charges were not profits and gains derived by the assessee from its industrial manufacturing activities. It was held that the said service charges received from the Heavy Water Board were not dependent upon the appellants manufacturing activities and, consequently, it was held that the service charges were not derived from the industrial undertaking of the appellant/assessee. 5. Being aggrieved, the appellant filed an appeal before the Income-tax Appellate Tribunal (hereinafter referred to as ‘the Tribunal’) which, by an order dated 27.01.2006 upheld the view taken by ‘ the Commissioner of Income-tax (Appeals). Thereafter, the appellant preferred appeals before this court under Section 260-A of the said Act in respect of three years, including the assessment year 1993-94 and 1994-95. Those appeals were numbered as ITA Nos 1252-1254/2006. By an order dated 15.11.2006, a Division Bench of this court dismissed those appeals holding that no substantial question of law arose for the consideration of this court. 6. Being aggrieved by the order dated 15.11.2006 passed by a Division Bench of this court, the appellant filed a Special Leave Petition [SLP (C) No. 3802/2007] which got converted into a Civil Appeal (Civil Appeal No.6244/2008). That appeal was disposed of by an order dated 21.10.2008. The Supreme Court took the view that the Tribunal and the High Court had not examined all the relevant contracts between the appellant and the Heavy Water Board because the appellant, in the first instance, had only produced the agreement dated 18.09.1994, but had failed to produce the contracts dated 05.08.1986 and 11.07.1990. The Supreme Court felt that the said contracts needed to be examined in-depth in order to determine the basic issue as to whether the receipt of service charges was or was not directly linked with the manufacturing activities carried out and the industrial undertaking of the appellant. For this reason, while keeping all contentions from both sides expressly open, the Supreme Court set aside the impugned judgment of the Delhi High Court and remanded the matter to the Tribunal for reconsideration of the matter in accordance with law. 7. It is, thereafter, that the matter was reconsidered by the Tribunal which disposed of the appeal in respect of the assessment years 1993-94 being ITA No.6130/Delhi/1997 by an order dated 26.02.2010. It is that order which is impugned before us insofar as the assessment year 1993-94 is concerned. A similar order was passed in respect of the assessment year 1994-95 in ITA No.3902/Delhi/2010 dated 20.10.2010. 7. Syn Gas return from HAEP to AMMONIA PLANT. 8. AMMONIA return from HAEP to AMMONIA PLANT. 9. FLASH Gas return from HAEP to AMMONIA PLANT. 10. Fire Water Line interconnection. These are the findings of fact returned by the Income-tax Appellate Tribunal after examining the contracts between the Kribhco and the Heavy Water Board. Based upon this, the question arose as to whether the service charges received for operation and maintenance of the Heavy Water Plant could be said to be in the nature of profit and gains derived by Kribhco from an industrial undertaking so as to make it eligible for a deduction under Section 80-I of the said Act. The Tribunal, however, held that the service charges received by Kribhco from the Heavy Water Board could not be treated as having been derived from an industrial undertaking of the assessee. The primary reason for rejecting the claim put forth by Kribhco was that the Tribunal felt that as Kribhco had no ownership with regard to the plant and machinery, building, etc. of the Heavy Water Plant, the service charges could not be treated as profit and gains derived from an industrial undertaking “owned” by Kribhco. In fact, the Tribunal held that the said service charges were nothing but expenditure in the hands of the Heavy Water Board for manufacture of Heavy and, consequently, the said service charges received by Kribhco for the operation and management of the Heavy Water Plant was a step removed from the business of the industrial undertaking of the assessee, namely, the Ammonia/Urea Plant of Kribhco. The Tribunal held that the said service charges for operation and maintenance could not be said to be covered under the first degree of operations. 9. Mr Ganesh, senior advocate, appearing on behalf of the appellant submitted that the Tribunal had misconstrued the provisions of Section 80-I by bringing in the question of ownership of an industrial undertaking. He submitted that Section 80-I(1) referred to the profits and gains derived from an industrial undertaking. Section 80-I(2) stipulated that the industrial undertaking should fulfil the conditions set out in that sub-section. It is nobody’s case that those conditions have not been satisfied. According to Mr Ganesh, neither Section 80-I(1) nor Section 80-I(2) of the said Act stipulates or requires that the industrial undertaking in question must be owned by the assessee. He sought to contrast the provisions of Section 80-I(2) with those Section 80-I(3) which talks of the ownership of the ship. Similarly, Section 80-I(4) also refers to the ownership of the hotel. However, there is no such requirement of ownership insofar as an industrial undertaking is concerned. 10. It was also contended by Mr Ganesh that there could be no quarrel with the proposition that the industrial undertaking must be the proximate and effective source of the profits and gains. In this context, he submitted that in the present case, Kribhco had, in reality entered into a revenue sharing agreement or arrangement with the Heavy Water Board for sharing the revenues of the Heavy Water Plant. Furthermore, every single input required by the Heavy Water Plant was supplied by Kribhco’s Ammonia/Urea Plant. Importantly, the service charges received by Kribhco for operating the Heavy Water Plant were entirely dependent on the actual quantum of heavy water produced by Kribhco in the Heavy Water Plant. It was, therefore, contended by Mr Ganesh that the real and effective source of the service charge received by Kribhco was the Heavy Water Plant, which, undoubtedly was an industrial undertaking. Consequently, he submitted, all the requirements of Section 80-I were fulfilled. He submitted that the question of ownership of the industrial undertaking was not a relevant factor and that Kribhco did not own the Heavy Water Plant. 11. Mr Ganesh advanced an alternative submission that the Heavy Water Plant was nothing, but an extension of Kribhco’s Ammonia/Urea Plant. As such, the service charges received by Kribhco could be considered as the profit or gain derived from Kribhco’s Hazira/Urea Plant which was, in any event, eligible for deduction under Section 80-I of the said Act. In effect, what Mr Ganesh submitted was that, in the alternative, the Heavy Water Plant be regarded as a part of the appellant’s Ammonia/Urea Plant and, therefore, the service charges received by the appellant would have to be regarded as profits or gains derived from the said Ammonia/Urea Plant, which would include the Heavy Water Plant. 12. Mr Rohit Madan (Senior Standing Counsel), appearing on behalf of the revenue, submitted that there was no error in the Tribunal’s order and that the question of law framed in these appeals ought to be decided in favour of the revenue and the appeals be dismissed. The learned counsel referred to the agreement dated 14.09.1994 entered into between Kribhco and the Heavy Water Board. He drew our attention, in particular to clauses 11 and 16 thereof. Clause 11 of the said Agreement deals with the remuneration and it provides that in consideration of Kribhco operating and maintaining the Heavy Water Plant, the Heavy Water Board, would pay to Kribhco, remuneration set out in Item-I, Schedule-I thereto. It also stipulates that the remuneration would be payable only as long as Kribhco continued to operate and maintain the Heavy Water Plant. We have already indicated that there is no dispute on this aspect of the matter that Kribhco was receiving service charges from the Heavy Water Board for operating and maintaining the Heavy Water Plant. We have also indicated that these service charges were directly proportional to the quantum of Heavy Water produced in the Heavy Water Plant. 13. Our attention was drawn, as pointed out above, also to clause 16, which specifically provided that the Heavy Water Board shall be the owner of the Heavy Water Plant. There is also no dispute with this inasmuch as the Tribunal has returned a finding of fact that the Heavy Water Plant belongs to the Heavy Water Board and not to Kribhco. The latter was only operating and maintaining the Heavy Water Plant on behalf of the Heavy Water Board for which it was receiving service charges. The question is whether these service charges could be treated as the profits and gains of Kribhco derived from an industrial undertaking and whether the same would be eligible for deduction under Section 80-I of the said Act. 14. The learned counsel referred to the Supreme Court decision in the case of Pandian Chemicals Ltd. v. CIT  262 ITR 278/129 Taxman 539 to explain as to what is meant by the expression “derived from”, as appearing in Section 80-I of the said Act. In Pandian Chemicals Ltd.’s case (supra), it has been held that the words “derived from” in Section 80HH of the said Act must be understood as “something which has a direct or immediate nexus with the assessee’s industrial undertaking”. In that case, the assessee therein was required to make certain deposits with the Electricity Board for supply of electricity for running its industrial undertaking. Interest was earned on those deposits. The court held that the interest so earned by the assessee on the said deposits could not be said to flow directly from the industrial undertaking itself and could not be regarded as profits and gains derived from an industrial undertaking for the purposes of deduction under Section 80-HH of the said Act. The learned counsel for the revenue sought to draw an analogy, insofar as the present case was concerned. He submitted that the service charges received by Kribhco cannot be said to be having a direct or immediate nexus with the industrial undertaking, that is, the Heavy Water Plant. In this backdrop, it was contended that the “service charges were not within the first degree” and, therefore, could not be said to be derived from the industrial undertaking. 16. Consequently, the learned counsel for the revenue submitted that the question be answered in favour of the revenue and the appeals be dismissed. 17. Having considered the arguments advanced by the counsel for the parties, we feel that the key issue is whether the ownership of an industrial undertaking is a relevant factor for the purposes of construing the provisions of Section 80-I of the said Act. We find ourselves to be in agreement with the submission made by Mr Ganesh that Section 80-I does not speak of the ownership of an industrial undertaking. 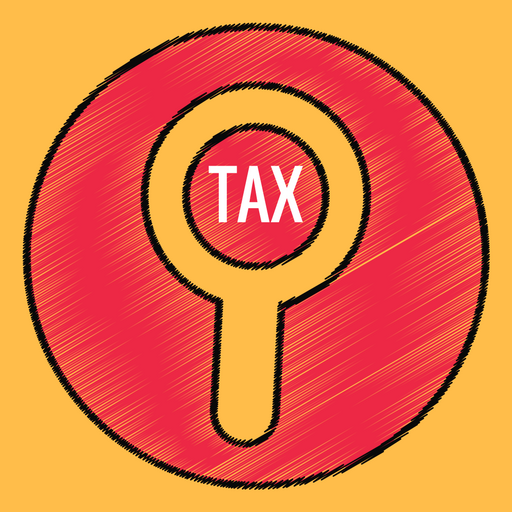 On a plain reading of Section 80-I(1) of the said Act, it is apparent that the first question is – what is the gross total income of an assessee ? The next question is: does it include any profits or gains derived from an industrial undertaking ? Neither Section 80-I(1) nor Section 80-I(2) requires the fulfilment of the condition that the industrial undertaking from which any profits or gains are derived are to be owned by the assessee. No such condition of ownership can even be inferred from the above provisions. In coming to this conclusion, we are, of course, not considering the provisions of Section 80-I(3) or 80-I(4), which speak of ownership of a ship and ownership of a hotel. We are not considering those provisions for the simple reason that even in those provisions, it does not stipulate that the ship or hotel should be owned by the assessee. It only stipulates that it should be owned by an Indian company or a company registered in India. Therefore, that distinction which Mr Ganesh had sought to make would not be of much use. However, de hors the said alleged distinction, a plain reading of Section 80-I(1) and 80-I(2) would indicate that the ownership by the assessee of an industrial undertaking from which the assessee derives profits and gains is not a stipulated condition. The only thing that has to be seen is whether the source of the profit or gains is an industrial undertaking. In the present case, there is no doubt and the revenue also does not contest it, that the Heavy Water Plant is an industrial undertaking. Therefore, once the issue of ownership is out of the way, the only question that requires to be considered is whether the service charges received by the appellant/Kribhco had a direct nexus with the industrial undertaking (that is, the Heavy Water Plant). If that were to be so, the source of the profit or gain would be in the first degree referred to in Liberty India (supra) and would fall within the expression “derived from”. We find that the service charges are directly relatable to the operation and management of the Heavy Water Plant, which is an industrial undertaking. The service charges are directly linked to the quantum of heavy water produced by Kribhco by operating and maintaining the Heavy Water Plant. Therefore, in our view, there is a direct nexus between the service charges and the industrial undertaking. As such, we are of the view that the service charges are nothing but profits and gains derived by Kribhco from the industrial undertaking (that is, the Heavy Water Plant) and, the ownership of the Heavy Water Plant is of no relevance. 19. Insofar as the decisions cited by the learned counsel for the revenue are concerned, the said decisions do not, in any way, detract from the position indicated by us. 20. Therefore, we feel that as the issue of ownership is irrelevant, the service charges received by Kribhco from the Heavy Water Board, would have to be regarded as profits or gains derived from an industrial undertaking so as to qualify for deduction under Section 80-I of the said Act. Because of the view we have taken, it is not necessary for us to examine the alternative plea advanced by Mr Ganesh. 21. The question formulated is answered in the negative, in favour of the assessee and against the revenue. The impugned order is set aside. The appeals are allowed. This entry was posted in Section 80-I and tagged 358 ITR, deduction u/s 80-I, Delhi High Court, In favour of Assessee.